Below are results for the VOP Club Experience Survey undertaken earlier this year. The purpose of the project was to understand what is important to players and how clubs are performing. The results of the report have allowed Softball New Zealand to understand the club experience of our members over the 2017/18 season. Softball members nationwide had the opportunity to participate, with adults aged 16+ completing the questionnaire themselves and parents/guardians completing the questionnaire for children under the age of 16, on behalf of their child. The survey was carried out by Nielsen, an independent research company on behalf of Softball New Zealand and Sport New Zealand. Softball NZ welcomes new commercial partner ELE Group to the softball family. ELE Group is a family owned and operated company who manage strategic portfolios in recruitment, logistics, construction, and risk management. Group Managing Director Brent Mulholland has an affiliation with the game and sees similarities between the ethos of ELE Group and that of Softball NZ. “We are an organization that aligns entirely to the needs of our people and their communities, and this is a position of strength for ELE that I also see in Softball NZ and its own community”, says Mulholland. “It was an easy decision for us as people are at the core of our decisions in everything we do”. “Softball NZ have strong leadership who are building pathways for its national athletes to compete on the world stage against significant barriers such as funding, geographical location, and competition, yet they continue to perform on so many levels. This is something we relate to” says Mulholland. The partnership will see ELE Group as the naming rights partner to ELE Stadium at Rosedale Park, Albany and includes the 2021 WBSC Men’s World Cup. Softball NZ CEO Tony Giles says the relationship is a natural fit. “This is where I see significant benefit for the softball community” Says Giles. “Like Principal Partner Golden Homes, this new relationship will see ELE work with Softball NZ in an advisory role for mutual benefit to both organizations”. The multiyear 6 figure partnership commences June 1, 2018. Softball New Zealand are very excited to announce the affiliation of Bay of Islands to the softball family. Softball ceased in the far north some 18 years ago but through a number of passionate volunteers committed to the future of their tamariki softball has since been revived. Mel and Del Rameka are modern day pioneers of softball in the north, they have worked tirelessly over the last 3 years to reconnect softball to the schools and community. Mel and Del are well supported by a working committee of Feron Rogers, Suzee Ross, Trisha Vaka, Cynthia Beattie, Joe Henare and Anne Stillwell who have grown from 15 teams in 2014/15 to 20 teams in 2017/18. The game has largely grown on the back of preseason road shows. The 14 day events take in 24 schools, 2 schools per day targeting 35-60+ kids per session covering basic drills, skills and fundamentals providing children a taste of the game. “We have been doing this for the past 3 years and have found that this works for us and is our form of development, as the interest for the game from the kids, teachers/ parents is over whelming.” Says Bay Of Island Softball Secretary, Del Rameka. “Our goal 3yrs ago when we formed, was to eventually register with Softball NZ so we can expose and open those pathways for our young ones to see the reality that softball has to offer. After gradually building softball we feel we are now ready to take the next step with our juniors (10-18yrs) and introduce them to another level of softball. Over the past 3 years we have been entering teams into the NZ Navy tournament. Every year our numbers with children wanting to play and experience this tournament has been massive. 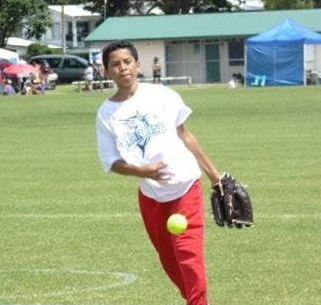 Softball here in the Northland has turned into a real whanau orientated sport with parents, Nans, papa's, aunts, uncles, cuzzy's and older siblings turning up to either coach our children or just to support.” Says Del. 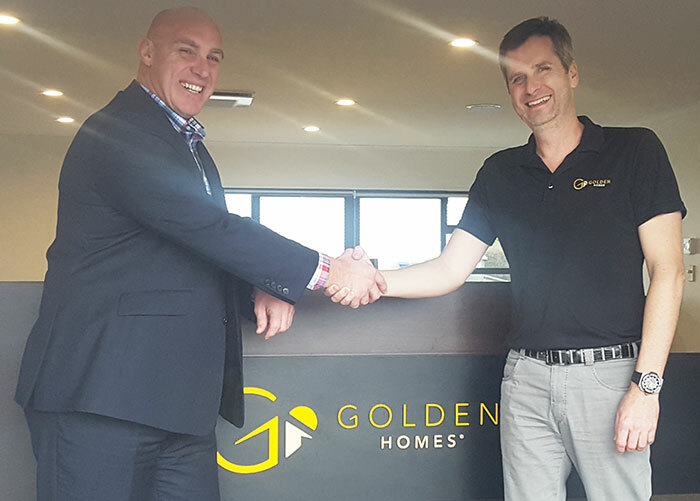 Following the recent successful partnership extensions with Golden Homes and Temperzone, Softball NZ is to celebrate yet another outstanding commercial partnership. TAB has signed on as principal naming rights partner to the 2018 Challenge Cup. The inaugural Challenge Cup was held in February of this year and Softball NZ are now seeking to sustain momentum for men’s fastpitch softball on home soil following the tremendous success of the Golden Homes Black Sox at the recent WBSC Men’s Softball World Championships. Softball NZ CEO, Tony Giles says “the TAB partnership is a significant milestone for our organisation and provides real opportunity to showcase the Golden Homes Black Sox against the best talent the world has to offer”. Softball NZ has also taken the opportunity to develop next generation talent by announcing the NZ U23 Major Sox will feature in the 2018 TAB Challenge Cup. “The opportunity to identify and feature young aspiring New Zealand talent in the same event as the 7 times World Champions is incredibly exciting for the sport” says Giles. Television schedules and International Federation line-ups are to be finalised the TAB Challenge Cup sets to be an extremely competitive event. The Australian Steelers have been invited in what will see a repeat of their epic encounter from Whitehorse last July. The NZ Black Sox defeated Australia 6-4 to win their seventh men’s world softball crown. 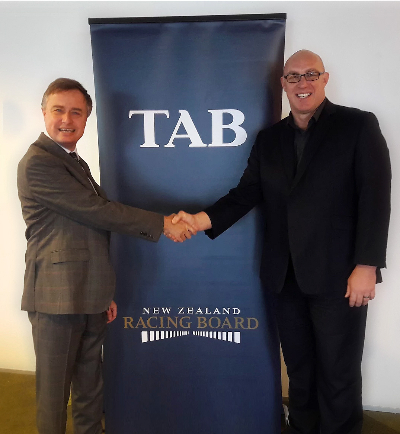 NZ Racing Board Head of Strategic Partnerships, Rowan Swain says “the recent Black Sox world champion success made TAB's continued support very compelling and something the TAB were looking forward to adding to TAB's partnership programme. The TAB Challenge Cup will take place on February 7-11 at Rosedale Park, Albany. 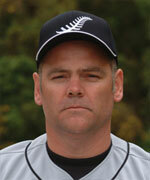 Softball New Zealand CEO Tony Giles is pleased to announce that Travis White is the new High Performance Director. Travis brings a wealth of experience to the role including Olympic, Paralympic, Commonwealth and non-Olympic management skills. For the past 5 years Travis has held a lead management role as Program Manager & Advisor – High Performance Sport New Zealand and provides expertise in areas such HP Investment, Campaign Strategy, Support Programs, and Elite Talent Pathway Development. Travis holds a Masters of Management, Bachelor of Commerce, Bachelor of Physical Education and is excited by his opportunity in joining Softball New Zealand. Travis will commence his position with us Monday, September 11. Softball New Zealand would like to take the opportunity to say ‘thank you’ to a number of people on the back of the Golden Homes Black Sox amazing 7th world title. Jason Gerbes (Chopper), our man on the mic. Thank you for your efforts, not just the game commentary but the player, coach interviews and passion carried throughout the world championships. The call to commentate the gold medal game was deserved recognition and a true honour. We would also like to thank the Ball Park Broadcasting Crew for inviting Jason to be part of the team and continuing to promote the game through their outstanding work. Casey-Leigh McMaster, Paul Aitu and Amanda Rona our photographers on the ground. Without these three we would not have been able to capture the Black Sox journey. Our Facebook, Instagram and Twitter channels wouldn’t have had the traffic it has had without the content you have generously provided. Your support has allowed us to feed national media with images to promote the Golden Homes Black Sox and their success across New Zealand. SOX NATION, your ongoing and passionate support for our national teams is second to none. The uncompromising support for our mighty Black Sox is a true reflection of the family values we hold dearly. Continue to fight the fight and promote our game where you can and be proud of our brand and national teams. Golden Homes Black Sox, 7 x CHAMPIONS OF THE WORLD!!! You are the flagship of our sport and carry the fight wherever you play. An unprecedented 7 world titles is mind blowing, something that other codes are unable to comprehend. Thank you for your work ethic and drive to be the best team on the planet! We would also like to say a few words regarding comments made on social media re lack of TV broadcasting of the 2017 Men’s World Championships. The championships were not broadcast by any TV network in Canada and therefore the feed was unable to be picked up by SKY TV or any other media outlet. Softball NZ were in discussion with SKY TV several months ago in regards to relaying the live streaming feed. However, it was decided that the quality of streaming from Sports Canada TV was not fit for purpose. SKY TV has been very supportive of Softball in New Zealand particularly with the coverage of the TAB Challenge Cup last February. Discussions are underway for the broadcasting of the Cup in 2018. Following the successful release of the Golden Homes Black Sox partnership extension, Softball NZ (SNZ) are delighted to announce a new 2 year agreement with Temperzone. Temperzone will continue their successful relationship with the New Zealand Junior Black Sox through to the completion of the 2018 WBSC U19 Junior Men’s World Championship in Prince Albert, Canada. SNZ CEO Tony Giles stated that as the relationship with Temperzone enters its third championship campaign management can now plan a full assault on going one better in 2018 after finishing 2nd to Japan in Michigan 2016. "Valued partners such as Les Kendall and the entire Temperzone family are paramount to our success at international pinnacle events" said Giles. "The New Zealand male programme is now officially ranked the number 1 programme in the world and this success could not be achieved without the wonderful support of Temperzone" said Giles. The Junior Black Sox have grown to become a major threat internationally since the partnership deal was signed in 2014. The Thomas Makea and Jarrad Martin led Junior Black Sox have just returned from the Australian U23 State Championships in Brisbane. 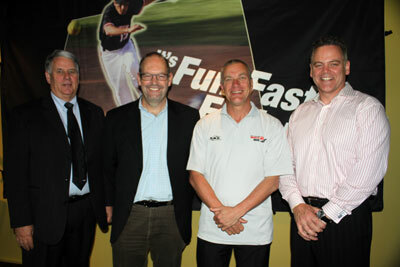 Les Kendall (Temperzone CEO) says “there has been a strong relationship between Softball New Zealand and Temperzone. The conduct and professionalism of the Softball New Zealand organisation and the players is something we admire at Temperzone, and it has given us the confidence and belief to back the team for a third shot at the Title. It has been really satisfying as well to see some amazingly talented young players to have the opportunity to be developed throughout Softball New Zealand's programme and to go on to bigger and better things as their career develops”. Temperzone is a NZ based designer, manufacturer and exporter of advanced air conditioning and environmental systems, and we compete against massive global corporations, so we are in a similar situation to Softball NZ and other NZ sports teams competing and winning on the world stage against the odds through hard work and dedication. 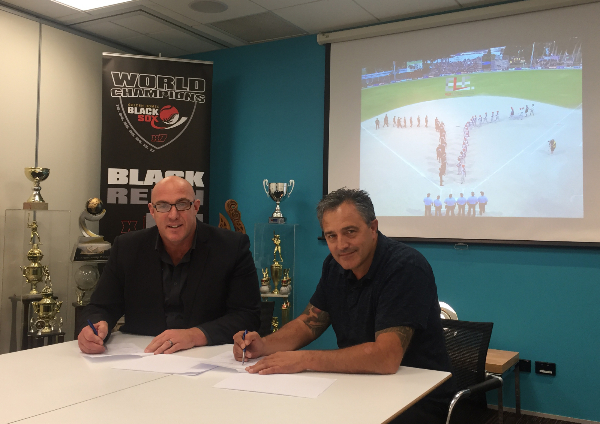 On the eve of the WBSC Men’s Softball World Championships in Whitehorse, Canada, Golden Homes has announced it is extending its commitment with Softball NZ (SNZ) in a move that will be celebrated across the entire Softball community. As principal partner the new 2 year extension is a significant investment into the sport as well as continuing naming rights for the Golden Homes Black Sox. SNZ CEO Tony Giles said “they'd enjoyed an exceptional partnership with Golden Homes since securing the relationship in 2014”. "We value Golden Homes as a true partner of our game and not just a sponsor and that journey has been special" said Giles. "In financial terms this partnership represents the most significant deal in our history and provides real opportunities across all levels through high performance in the men’s game". Naming rights and principal partner of the Black Sox . Golden Homes Director Shane Helms said “we have pleasure in renewing our partnership with Softball New Zealand following a stellar year both on the local and world stage. Since 2014 we have enjoyed the relationship with your organisation and in particular we are proud of our shared values of honesty, effort, achievement, family and opportunity. We look forward to the coming summer season and wish you well in your preparations, equally we appreciate the profile and support your organisation offers our brand throughout the country and the market opportunities that result”. Softball NZ would like to announce the commencement of a National U23 Men’s tournament to be held at Rosedale Park, North Harbour from Thursday 7th Dec to Sunday 10th Dec 2017. We are excited to have this addition to our National schedule. Pathways for the men from U19 Boys to the Black Sox needed addressing, and with the WBSC making plans to possibly instigate an U23 Men’s World Champs in 2020 then Softball NZ felt this was the time to bring in this new National tournament. 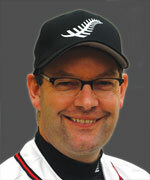 Tony Giles has been appointed Softball NZ CEO and will take up his new role on October 14. Giles (41) comes from Pub Charity, where he has spent the past three and a half years in senior management positions including that of General Manager. The former professional rugby player brings a mix of sporting passion and business nous to his new position, which comes at a pivotal time for softball in New Zealand. “Opportunities abound for softball here,” says Giles. “Every child in New Zealand grows up with softball from an early age with rounder’s and T-ball played at primary schools throughout the country. We also need to build on the strong support networks provided by our 23 associations”. Giles hails from Napier and represented Hawke’s Bay through age-group and provincial “B” level, before pursuing his rugby career abroad in Ireland and Italy. Upon returning to New Zealand, he served in a management positions with The Laminex Group, a subsidiary of Fletcher Building Products in the lower North Island, before joining Pub Charity. “I worked closely with venue operators who raised funds providing enduring community benefits for many New Zealanders across all demographics, and managed human and physical resources throughout the length and breadth of the country. “Giles is excited about softball’s potential after the Black Sox triumph in this year’s ISF World Championships at Rosedale Park. “I’m very aware of the Sox brand and its strength in the public perception, especially after the world champs. The fact the Black Sox don’t often play in New Zealand is a challenge for us moving forward, but we also have very strong growth potential in other areas of the sport which is extremely encouraging. Click here to view the process and timeline that SNZ will follow for the development of the new strategy for softball. Softball New Zealand is progressing in leaps and bounds, as it builds on the Black Sox sixth world title and a successfully hosted tournament at Rosedale Park. At the organisation’s quarterly meeting over the weekend, attended by the board and association representatives, SNZ general manager Dane Dougan outlined how the on and off-diamond achievements during the world championship were being leveraged for both short and long-term benefits for the sport. “We’ve had some very promising discussions with broadcasters about getting more softball on television,” he said. “The key to that, though, is to provide more attractive softball products. Perhaps the most crucial goal is to have the Black Sox playing more games in New Zealand. Before the world championship, they had not played here since 2008. “The first regional meeting since the world champs was inspirational,” said Canterbury Softball chief executive Cheryl Kemp. “The work on rolling out a new plan for our sport has made huge progress, and bodes very well for some exciting products and events next summer. One initiative that looks particularly promising is a bid to have a round of the Australian Gilley’s Shield interstate competition for women staged in New Zealand. The White Sox programme has sent development teams across the Tasman for the past three years to prepare senior and junior national team players for the next level. World championship winning captains Mark Sorenson and Jarrad Martin have both been named players of the decades as Softball New Zealand celebrates its 75th jubilee. Sorenson, who captained the Black Sox to world titles in 1996 and 2000, was voted the best male player for the 1987 to 1996 decade and Martin, captain of the team that won the world crown in 2004, for the period 1997 to 2006. Honoured for the first decade of the game in New Zealand were Alf Jenkins and Eva Knight. The 1947-1956 decade winners were Brian Wareham and again Eva Knight. Recognised for their dominance in the game for the 10 years from 1957 to 1966 was Bill Massey and Bev Makinson. Knight was not the only player to be recognised for two decades with Kevin Herlihy taking out the award for the 1967 to 1976 and 1977 to 1986 decades. The women’s player for the 1967-1976 decade was Marilyn Marshall and for the next decade Cheryl Kemp took the honours. The decade from 1987 to 1996 belonged to Gina Weber who preceded Rhonda Hira. The two players to be recognised from 2007 to now were Thomas Makea, who has played in four world championships since 1996, and Michal Tangaroa, who has played in two world championships. Succesful coach Venita Hokai has walked away with the premier honour at the annual Softball New Zealand awards. Hokai, who was also named SNZ coach of the year, coached Auckland to their national fastpitch title and was also at the helm of the Junior White Sox team which finished a credible fifth placing at last year’s world championship in Cape Town, South Africa. She has been reappointed head coach of that national team for next year’s junior world championship. Meanwhile, Wellington internationals Wayne Laulu and Jerome Raemaki were named national men’s player and emerging player of the year respectively. The women’s player of the year was Rebecca Bromhead, from Auckland, her provincial team-mate Michal Tangaroa was the pitcher of the year. Te Reo Powhiri Matautia (Auck) the emerging female player of the year. Umpire of the year was Daph Turner (Hutt Valley), Scorer of the year was Sandy Wallace (Otago), and the administrator of the year was Sharon Kawe (North Harb). Mel England from the Hawkes Bay was named personality of the year, and Aroha Metcalf (Marlborough) was the volunteer of the year. Results from the recent SNZ Stakeholder Survey are now available. The Stakeholder survey consisted of 3 surveys targeting the social player, competitive player and the coach, administrator, manager club official etc category. 3. Relationship between lifestyle, alcohol and its effect on our community. Congratulations to Kerry from North Harbour for winning the $300 voucher from Sirius Sports. Former national softball representatives Chubb Tangaroa and Gina Weber have been inducted into the International Softball Federation's Hall of Fame at the congress meeting in Oklahoma City. Tangaroa, who made his Black Sox debut in 1987 and played in 30 games in a career that spanned over 15 years. He was a member of the world championship winning Black Sox team in 1996 and then the pitching coach for the side when he defend that crown in 2000 and 2004. He was a member of the Black Sox teams that won the silver medals at the 1988 and 1992 world championships. Weber, who made her international debut in 1982 and was a member of the world championship winning White Sox team of that year. In all she played in four world championships and during that time the side won gold (1982), silver (1990) and bronze (1986) medals. She then captained the White Sox team at the 2000 Sydney Olympic Games. In 2006 she was the White Sox assistant coach at the world championship in Beijing, China. Both players are members of the Softball New Zealand Hall of Fame with Tangaroa in 2004 and Weber in the following year. Weber was also awarded a New Zealand Order of Merit in 2001 and Tangaroa three years later. Also inducted into the International Softball Federation's hall of fame was Russell Moffat, who was the Black Sox statistician at five world championships. He was also an official statistician at the 2004 Olympic Games in Athens and the chief statistician a the 2004 world championships in Christchurch. He was inducted into Softball New Zealand's Hall of Fame in 2006. It is our pleasure to announce that Softball NZ have appointed Marnie Barber as the Lower North Island Regional Game Development Officer (RGDO) along with Cowley Harris as the Central North Island RGDO. With the redesign of the RGDO geographical areas we have been interviewing some quality people and are excited by the appointment of Marnie and Cowley. Marnie has been the head administrator for the Wellington and Hutt Valley Softball Associations (Capital Intercity Softball) the past year and so has a good handle of what these associations and others need assistance in. She has coached, managed, and played representative softball for many years and has an extensive experience in owner operator business operations. Cowley has been on the Waikato Softball Board and President of Waikato Softball for many years until this past week as he has taken this new position with Softball NZ. He also has coached, managed, and played representative softball for many years. His background is in the science field where he has worked for MAF and recently AgResearch in Hamilton. Marnie will cover Wellington, Hutt Valley, Manawatu, Wanganui, and Taranaki Softball Associations. Cowley will cover Counties-Manukau, Waikato, Western Bay of Plenty, Rotorua, Tairawhiti (Gisborne), and Hawkes Bay Softball Associations. They officially start their employment in a couple of weeks time on the 15th August, so they will be in touch with their respective associations in due time. This is an official announcement that the Div 1 Sec School tournament will not be held in Christchurch as it was scheduled to in March. We feel for the Canterbury Softball Association (CSA) as they were looking forward to hosting the event and they do a terrific job at it, but with conversation between CSA and management here at SNZ it was agreed that the tournament will have to be moved. Peoples safety, the Christchurch infrastructure, and damage to facilities in Christchurch all accounted to this decision. We are now looking at moving the tournament to another venue and have a few options we are working with. SNZ would like to keep it in the main centres (Auck & Well) to keep travel costs down for teams and SNZ, and because it is a tournament that has 24 teams we need a large enough facility to host the tournament. One obstable will be that alot of grounds are switching over to winter sports and that may be a challenge gaining those extra diamonds as we want to keep the tournament all together rather than splitting the girls from the boys. The other issue is officials being available for the relocated tournament as a number of the officials were from Christchurch and we are still unaware of their availability. Recently Softball NZ announced a change to the format of the Men’s Club tournament for the 2011-2012 season. We would like to announce that the format for that tournament will now not be changed, thus it will remain as status quo, same format as in the past. It was brought to our attention by stakeholders that the current seeding of the teams was flawed and this needed to be reviewed. The current seeding system is taken from the results of the previous season’s tournament. It was noted that teams do change from year to year and that a more accurate seeding system needs to be implemented. We will be talking to stakeholders on the subject and next year a possible solution will be announced. The International Softball Federation inducted three of the games greats into the Hall of Fame last week (25/11). Mike Nichols, Don Tricker and Mark Sorenson were all presented ISF rings and plaques from ISF 2nd Vice President Bob Leveloff. Mark Sorenson, far right, was pleased to be inducted into the International Softball Federation Hall of Fame with two other greats, Don Tricker, second from left and Wayne Nichols representing his brother Mike Nichols, third from left. With them at last week's induction was Bob Leveloff president of the Oceania region. He broke into national competition in 1980 and by 1984 Michael was on the first of three New Zealand teams that he would compete with in ISF Men's World Championships. Over that trio of tournaments he had a batting average of .339 and won a gold and two silver medals. In four other international competitions from 1981-90 his team came in first place each time. 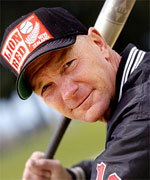 An outfielder, Michael was elected to the Softball New Zealand Hall of Fame in 2000. Don Tricker made his name known through New Zealand men’s softball as both a player and then as a coach. On the diamond he wore the Black Sox uniform from 1987-1990, which included winning a silver medal at the ISF VII Men’s World Championship in Canada in 1988. Following his retirement from playing, Don went on to become the first coach to win back-to-back world titles. From 1998-2004 his New Zealand teams captured the gold medals at the marquee ISF event in 2000 in South Africa and 2004 in their home country. for coach of the year. In 1984 Mark Sorenson made his international softball debut at the ISF VI Men’s World Championship at the age of just 16 years old. Twenty-one years later he retired from the game with seven world championship tournaments (one junior) to his credit – all of them gold (five times) or silver medal finishes. In four of the seven he finished with a .400 batting average or higher. his legacy in Black Sox history. Thank you to everyone who completed the online questionnaire which sought valuable feedback from our Stakeholders. Below is the Stakeholder Report which outlines the results of the survey. SNZ is already accomplishing a number of the findings and results but have also targeted other suggestions from our Stakeholders, we will continue to update progress. On behalf of the Softball New Zealand Board, staff and the entire Softball family I would like to congratulate all those that received Softball New Zealand Awards for 2010 which were presented at the SNZ AGM at the weekend. A list of all the winners is attached. Eric Kohlhase, winner of the SNZ Distinguished Services Award, Ross Smith who was inducted to the SNZ Hall of Fame and Ray Tibbits induced as a SNZ Life member. I would also like to thank all of those that attended the Softball New Zealand AGM on Saturday. It was great to see so many familiar faces and a few new ones, we hope you all got what you wanted from the day. A copy of the presentations from the day will be emailed to all attendees as well as the minutes from the meeting in due course. Good luck with your preparation for the upcoming softball season, we hope to see you all next year at the AGM.